The 21st Century is springing up business people with a wide range of skills and specialties. In this information era, one may wonder at the good that businesses stand to gain from working with a consultant. Well, to echo what was earlier brought to light in another one of our articles, no amount of technology can ever match up to the value that a human resource portrays. We’ll get to look at this in detail within a short while. However equipped the modern day entrepreneur may be, changes occurring within the business, in the wider economic climate, or any other unpredicted circumstance, can create a need that simply can’t be met by the existing expertise within the company. In the event of such a situation, it pays to partner with a consultant that can provide the skills required to get the job done not to mention an objective viewpoint that helps view the bigger picture. Such is what the Cunningham Venture Group Consulting Co specializes in. That and much more. CVG focuses on understanding the architecture of your business and your growth plan. They know the people, the resources, the markets, and the technology it takes to create winning strategies for your budget. Brian Cunningham, the founder of CVG, derived pleasure from studying the structures of businesses and soon, solving problems for them became a business for him. He is a firm believer in the entrepreneurial journey of others. To enable him to serve his clients best, Cunningham structured his firm to offer three primary services- Branding, marketing, and consulting. To better understand the role of CVG in achieving success for businesses, let’s look at how each of these campaigns has contributed to the overall performance of various enterprises. What does your firm do ? Branding is a broad concept. However, at its core, it has to do with the quality of experience that your business gives every consumer on the first contact with your product. CVG works with companies in understanding their true business philosophy and making it known to the world. To build a brand image of a business from scratch can be challenging. CVG consultants are ready to invest whatever time and effort are required if it means getting the branding right. On figuring out what your business stands for, and who your customers are, they shine enough light on that information and systemize it across your communications, all the while increasing your business exposure. CVG has branded businesses in diverse industries. This has resulted in a knowledge that has proven useful in acquiring a better perspective of branding practices. A brand displays your business’ unique personality making it easier for customers to remember you. Consumers’ loyalty and commitment to your brand set you apart from your competition. By triggering the right emotions, branding emotionally connects you to your consumers creating an attachment between them and your product. The branding team over at CVG gives you an opportunity to work with creative, strategic, and experienced minds ultimately boosting creativity. Any company with a brand presence, reliable and flexible enough to adapt to prevailing situations performs better than a company without one. Branding drives consistency to your brand voice and marketing efforts opening your business up to a flock of customers. What if you had an employee with all-rounded skills in SEO specialization, SEM, content marketing, email marketing, affiliate marketing, social media, website development, Google analytics, etc.? A dream employee indeed! The Cunningham Venture Group is made up of a team of skilled marketers with hands-on experience on how to scramble for customers online-all at your disposal. A well-thought marketing strategy without the knowledge or skill to effectively implement it is like a shoe without its other foot. The CVG professionals have the weapons and skills to carry out your plan. They have helped redesign the approach of businesses-large, medium, and small. How has marketing impacted the success of businesses ? Marketers that have worked in the field for long have discovered what works and know how to establish a brand that reaches out to customers successfully. The knowledge that an online marketing team presents far outweighs what one person could ever bring to the table. With a team, each person has one aspect of marketing that they focus on and excel at leading to more customers. The number of times that the Cunningham Venture Group has provided its marketing services to clients have presented themselves as opportunities to collect piles of industry and market data. This information has proven useful in building marketing strategies for other businesses. Although the consulting company receives a steady payment throughout the partnership, all the profit and success generated remains in the business. How better than that can it get? Agencies such as CVG are success-driven. Their very survival depends on the failures and successes of their clients. 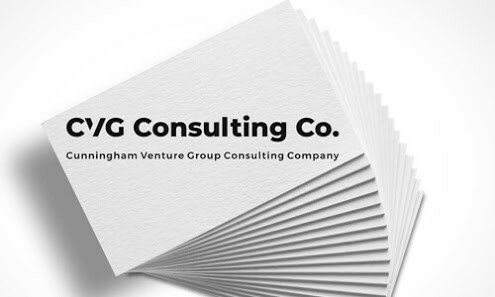 For the Cunningham Venture Group, consulting is a general word that includes pretty much any service beginning with the above two. If you look at most successful companies, you’ll find that they have solicited the services of a consultant at any particular time. This is the right attitude for any venture looking for fast growth. How have businesses achieved success by collaborating with consultants ? Corporations have taken advantage of the skills of the consultants and picked from them the latest methodologies, trends, and business strategies. These prove useful in the long run, especially when the consultant is no longer around. It is easy for people who work within an organization to miss their problems. Unlike the inside teams, consultants function with a fresh pair of eyes to catch pitfalls that would otherwise prove damaging to the business. Extensive knowledge of the market dynamics has given consultants the upper hand in helping their clients outsmart their competitors. The many duties in the job description of the business owners give them little to no time to solve all the problems of the company. With a consultant around to handle various concerns, the manager has time to tend to other productive aspects of the business. On closing thoughts, the role of the Cunningham Venture Group in achieving success for businesses cannot be more evident. In today’s economic environment, this consulting company has come out as a way for companies to stand out, put a grip on their operations, and project their income while keeping expenditure low.